Manchester United midfielder Marouane Fellaini has refused to sign a new contract with the club as has been reported severally in the press. Manager Jose Mourinho is a huge admirer of the 30-year old and is now putting the club under serious pressure as regards a new deal for the much-maligned star. The Portuguese boss is requesting that the club do everything possible to keep the Belgian at Old Trafford. Fellaini has turned down contract talks with the club, stating on a few occasions that he is unsure of his next action as well as his desire for a new challenge. The club, however, has no plan of selling the player this month despite his current contract running out in the summer. 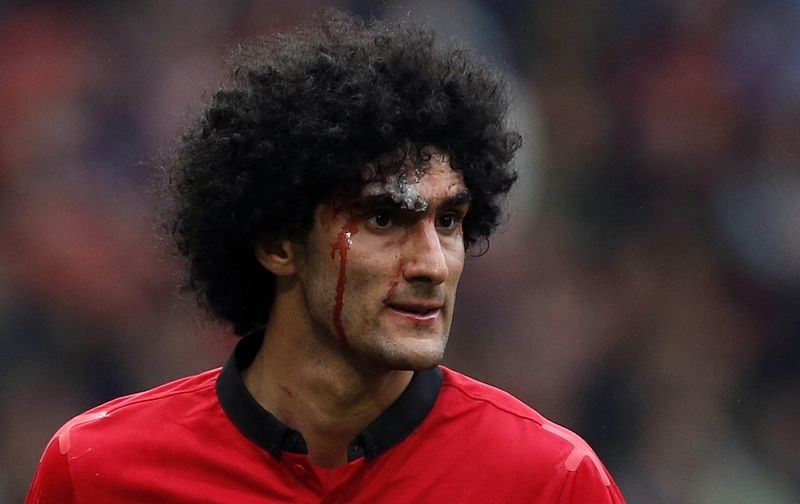 Fellaini who has just returned from a knee injury has been instrumental to Man United in recent times scoring 4 goals in 13 appearances so far this season in all competitions. Another Man United player in danger of leaving the club for free in the summer is Juan Mata. The Spaniard is yet to be offered an extension on his current deal with the club despite stating his desire to remain with Man United. The imminent arrival of Alexis Sanchez does not speak well of his chances for a new deal at the club. He has however been a consistent feature on the team list this season in the Premier League with 18 appearances (16 of those as a starter) made and 3 goals and 3 assists to his name.